Track or trout, streamers. (I think I said that wrong.) Is everyone getting ready for a candy-filled Halloween, or are the New Years diets still kicking? Basically, I’m asking if I can have your candy. In return, I give you these five streaming options to make your week go by a little easier. But only if it’s good candy. 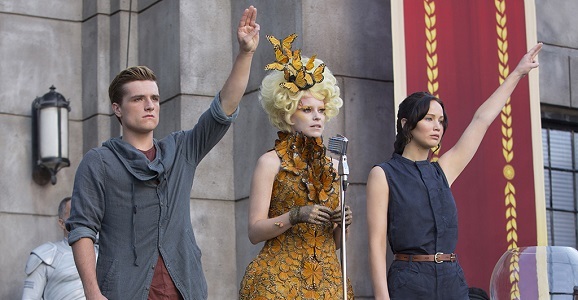 The highest domestic grossing movie of 2013, Francis Lawrence’s The Hunger Games: Catching Fire was a stellar follow-up to the first film, despite covering 3/4 of the same ground. (It was bigger and more extravagant, guys.) Watch Katniss (Jennifer Lawrence) and Peeta (Josh Hutcherson) act as if they love each other despite having contrary feelings. Watch as Elizabeth Banks and Lenny Kravitz pull off outfits that you or I would look suicidal in. Watch Stanley Tucci reprise his role as the best host of anything ever. And most importantly, watch Philip Seymour Hoffman playing one of his final big screen roles. Good day, streamers. Is everybody ready to watch Nicolas Cage get Left Behind this week? 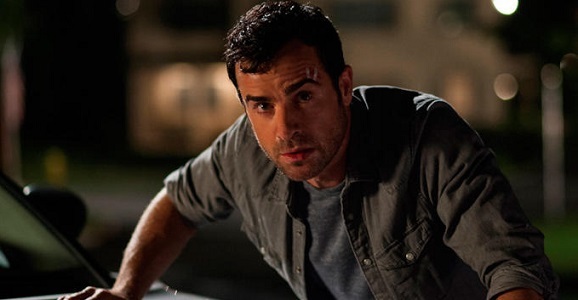 Or would you rather watch Ben Affleck search for his wife, or possibly watch a possessed doll haunt people? Maybe you’d be interested in having a possessed doll haunt Ben Affleck. We’ll see what we can do. In the meantime, check out the five most appealing sci-fi streaming options of the past few weeks. Given The Walking Dead‘s penchant for abusing audiences with an extended midseason hiatus, it’s nice to have the entire fourth season readily available for uninterrupted binging. Relive the Governor’s non-glory days, Carl’s rage-fueled days, Daryl and Beth’s drunken single day, and many more. Season 4 featured some of the most gruesome and shocking deaths that the series has ever delivered — with Carol at the center of some, no less — and it’s only supposed to get worse once Season 5 begins. Just what exactly is Terminus, and why does everything smell like meat around there? 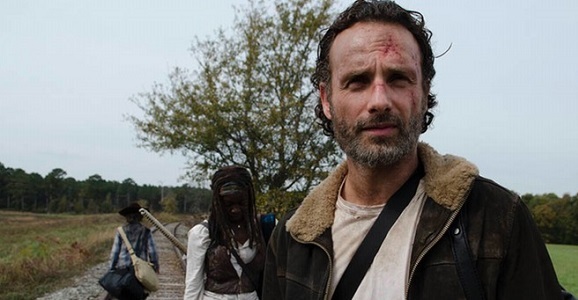 The Walking Dead returns to AMC on Sunday, October 12, so get to watching. Or just wait until AMC runs its next marathon. Streamers! After a short hiatus, your favorite Giant Freakin’ Robot streaming column is back! (Just because it wins that distinction by default doesn’t mean it’s not a victory.) 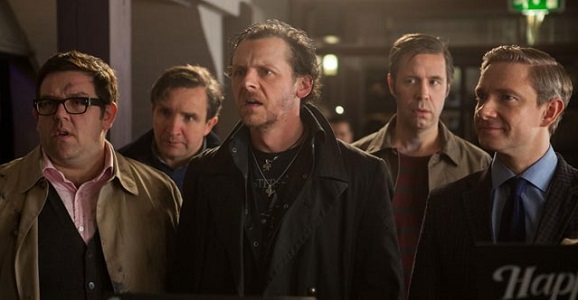 We’ve given Cross the Streams a bit of a facelift, and we’ll be moving forward by sticking to the five most notable new movies and TV series that the Internet has to offer by way of streaming, for better or worse. If this means we’ll have to leave all the $15,000 creature features behind, so be it. It’s hot, guys. Therefore, instead of sticking around trying to introduce this column like a genial professional, I’m going to stand under a cold shower while wearing ice overalls. Sorry for the visual, but this giant list of streaming releases should earn me some forgiveness. Here’s what’s new in streaming science fiction! 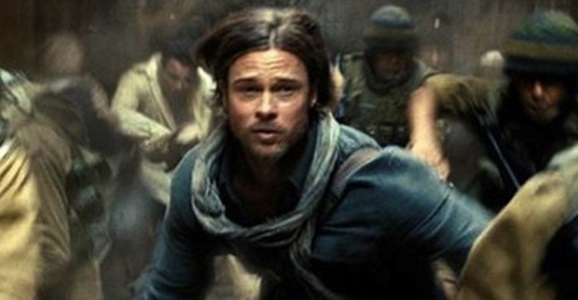 Brad Pitt, millions of CGI-enhanced zombies, and a complete disregard for Max Brooks’ novel of the same name. That, in a nutshell, is Marc Forster’s somewhat surprising blockbuster World War Z. I mean, you could also talk about all the production problems and the bloated budget, but it’s not necessary. It’s a pretty awesome action movie, though there’s not a lot going on around the action. If you really want your undead fix, you can watch the unrated version on Netflix. Is it summer yet? It feels like it should be summer now, based just on the sweat content of my clothes. Does this have anything to do with sci-fi? Nope. I’m just hot. Enjoy the streaming choices this week. Johnny Five would want it that way. 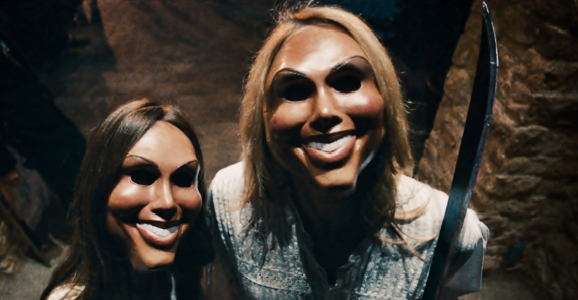 With the upcoming sequel The Purge: Anarchy right around the corner and waiting to beat you over the head with a pipe or something, what better time to watch James DeMonaco’s original, The Purge? Well, there’s never really a good time to watch this flick, as it wastes a good concept with brick-stupid characters and sub-zero plotting. But it falls into that “so bad it’s ridiculous” category, and watching it is vaguely rewarding. Like the last round of Russian Roulette.